With the Wife Project complete, Don settles into a new job and married life in New York. But it’s not long before certain events are taken out of his control and it’s time to embark on a new project…. As Don tries to get to grips with the requirements of starting a family, his unusual research style gets him into trouble. To make matters worse, Don has invited his closest friend to stay with them, but Gene is not exactly the best model for marital happiness. As Don’s life with Rosie continues to be unpredictable, he needs to remember that emotional support is just as important as practical expertise. 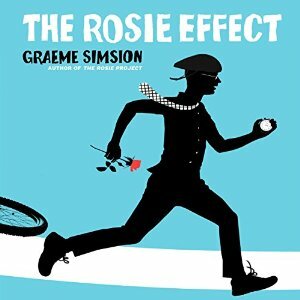 The Rosie Effect follows on from The Rosie Project, and as I enjoyed the latter very much, I didn’t wait too long to listen to the second book. I am still undecided about how much I liked The Rosie Effect. Like the first book I chose to listen to the audio version because Dan O’Grady totally nails the narration. To me he is the voice of Don Tillman! His voice, his phrasing and emphasis on certain words just brings this story so alive. Don is totally thrown when he learns that he and Rosie are expecting a baby. He goes into meltdown. And when he has finished with that he turns to the practicalities of preparing a baby. He becomes an expert on the total nine months and all birthing possibilities. You don’t want to know his version of a pram and cot. Neither would Rosie. What Don neglects to do is give Rosie the support she needs and fails to be involved in ways that Rosie sees as essential. 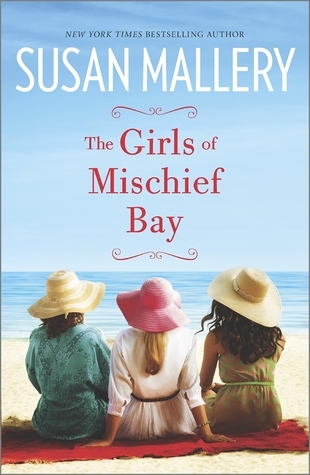 I wasn’t that keen on the relationship between Don and Rosie in this book, except perhaps towards the end. The decision that Rosie came to in the course of events was something I felt might be inevitable. Rosie felt like a shadowy character in this book, she was there in the background, but not really fully fleshed. Don had a number of other characters to relate to in this book. They are in New York and there is the old rock star upstairs – George, Dave and Sonia – someone Don helps out with his business and then Sonia later helps Don out in a very funny kind of way. Then there is Lydia, he first meets her in a restaurant and then later as his ‘social worker’. Gene also turns up on the door, I found I didn’t mind him so much in this book. Don because of who he is lands himself in all kinds of funny situations that he takes totally seriously. He also shows the kind of person he is as he bends over backwards for his friends – he just forgot to do that for Rosie in a way that she needed! If you listen to audio, I would most definitely listen to it rather than read it. Dan O’Grady takes the book up some notches.